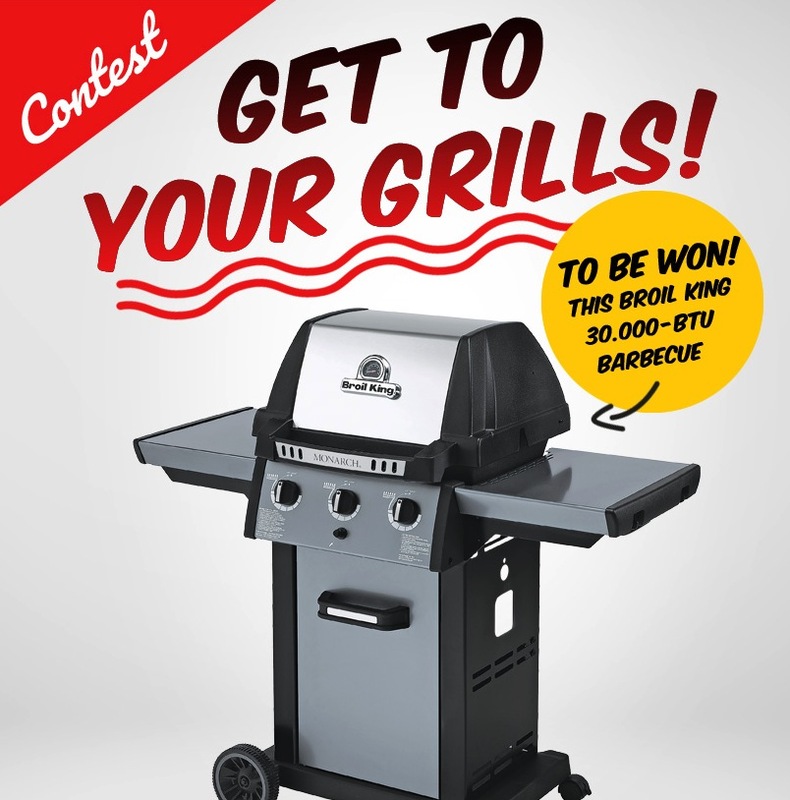 Enter the new EconoMax Get to your grills Contest to get a chance to Win a Broil King 30.000-BTU barbecue. This contest is open only to legal residents of Quebec or Ontario who are 18 years of age or older. To enter you have to visit the contest web page and fully complete the online entry form with the requested information including name, last name, postal code and email address, agree to the rules and submit it. Contest ends on Wednesday, June 19, 2019. Winner will be selected by random draw from all eligible entries. There is one prize available, it consists of a Broil King Barbecue. The EconoMax Get to your grills Contest begins on Thursday, April 4, 2019 and ends on Wednesday, June 19, 2019. The draw will take place on June 26, 2019. winner will be notified by email.